I went to Survivors of Suicide Loss Day this weekend and everyone lit a candle in memory of their loved one(s). 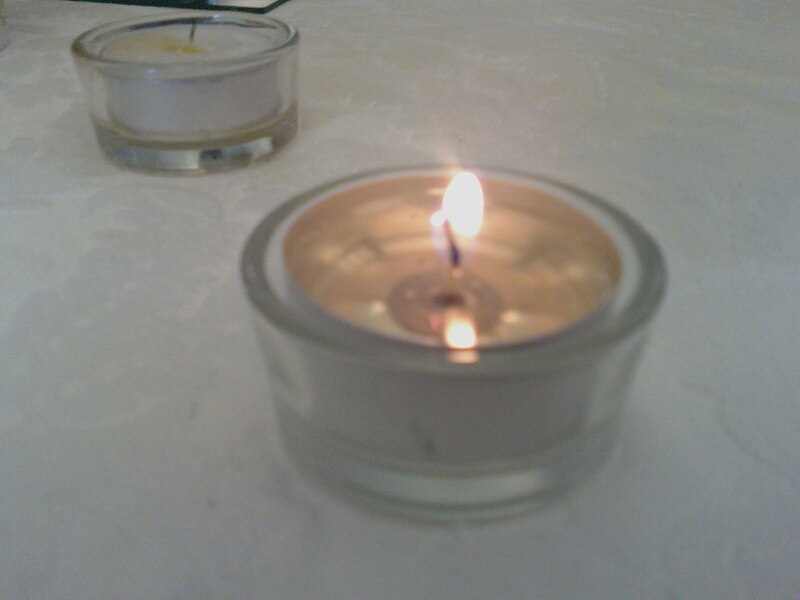 While the conference itself was great, it was the candle that moved me. As I stared at it I felt & thought many things. Guilt – I’m supposed to do something to save it but I don’t want to. Fear – doing something to help it will hurt me or draw attention to me. Helpless – there is nothing I can do to affect the time this candle burns, what I do won’t matter, won’t make a difference. Life – As I watched I noticed a brown speck near the wick just twirling, a sign of life. The Pain of Waiting – I don’t know when but I can’t stop it. I just wait. Like D- and the bus stop. I just want it to stop. I want to blow out the candle. Just make it stop. Please. I’ve noticed no one else at my table is watching the candle. When it was lit, I didn’t pay attention. As it burned, I didn’t watch. But I noticed when the white candle was completely clear. Now there’s nothing I can do but watch. If only I had noticed. There’s nothing I can do. This candle is going to kill me. I want to protect the candle. Fear of someone blowing it out. Wondering if that would be more therapeutic. I don’t want to eat lunch. I don’t want to leave it. People eat lunch and talk. I’m tempted to ask how long these candles burn. But no one can know. I’m angry I can’t change it. Didn’t want to leave but had a good conversation. Automatic Thought – I shouldn’t be here. Angry. Damn it! Go out candle. Angry – my perspective is so different. I shouldn’t be here. I forgot & went back to blow out the candle. The effect. And I walked away. I know the people around me did not experience this candle as I did. But it was so powerful. To go through so many emotions and stages of trauma and grief in such a short time with a candle is amazing. It’s powerful and difficult but good. Thank God for the candle.